What's with all the coconut hype? 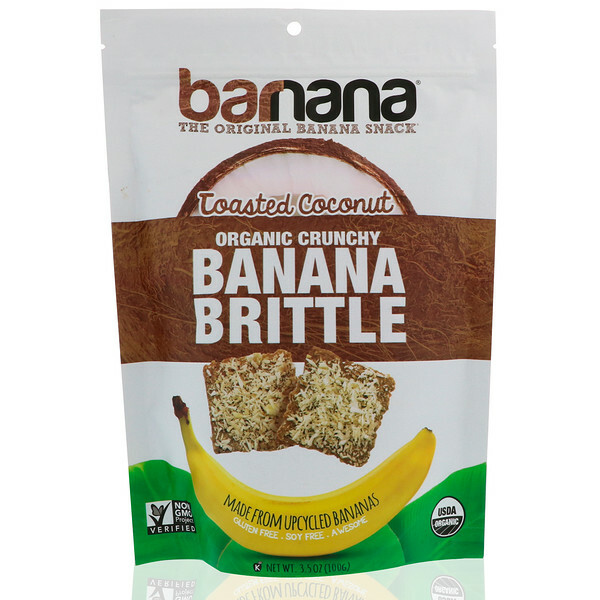 We like to mix'em together with bananas. So now you can be nuts and go bananas too! In about the years 327 B.C. Alexander The Great brought the first banana to europe people were stoked. Banana puree* (bananas*, citric acid, vitamin C), coconut palm sugar*, gluten free oat flour*, coconut*, almond flour*, coconut oil*, cassava starch*, banana flavor*, sea salt, cinnamon*, vanilla extract*. 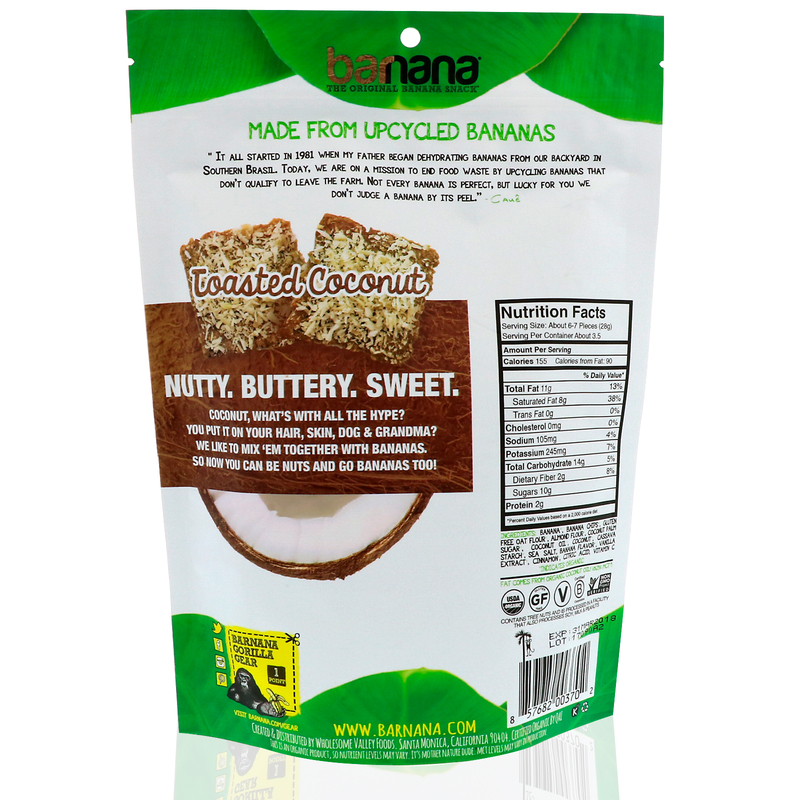 Allergens: Contains coconuts, almonds & is processed in a facility that also processes wheat, milk, eggs, soy & tree nuts.